How Many Neon Tetras In A 5 Gallon Tank? You Won't Believe How Many! Neon tetras are very active and beautiful fish that like to swim around with their buddies in groups of at least 6. So If your thinking of keeping a school of Neon Tetras, then a 5-gallon tank shouldn’t be your first pick. A 5-gallon tank is likely too small for a group of Neons since you would want to keep at least 4-6 of them which could quickly overload a small 5-gallon tank, a 10-gallon tank would be best. When you are thinking about stocking options for your tank you need to think about how big the Neons will eventually get. A full-grown Neon Tetra can grow up to 1-2 inches. So What’s The Ideal Tank Size For Neon Tetras? It’s not just the size of the fish that you need to think about when selecting the ideal tank. Neon tetras are active fish and like to swim around the entire tank, in the plants, through the driftwood and rocks. So you’ll need a tank that is big enough for the fish and all the decor. If you must keep them in a 5-gallon tank then try to have a few live plants rising into the mid-level of the tank in a few areas. This helps keep the tetras feeling safe and secure. Then there’s the social aspect of your Neon Tetra. Neon Tetras Are Schooling Fish! Basically, fish that school like to swim together in a coordinated effort and a group of 6 Neons will definitely school. But to really see the best the Neon has to offer you would want to keep at least 10 of them together, which quickly eliminates a 5-gallon tank. Neon’s literally crave being in a school and their beauty is in their schooling. When schooling Neon Tetras typically swim in a more horizontal pattern which would require more swimming room than a five gallon can offer. It may seem odd to the beginner but smaller aquariums are actually harder to maintain than larger ones. 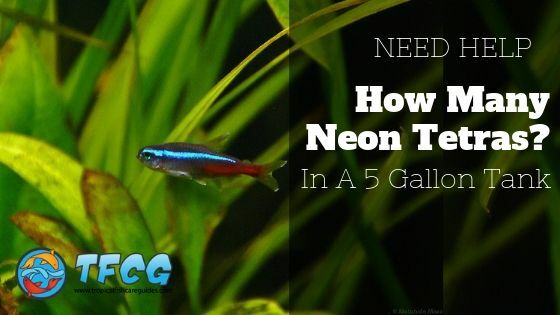 So Can You Keep Neon Tetras In A 5-Gallon Tank? 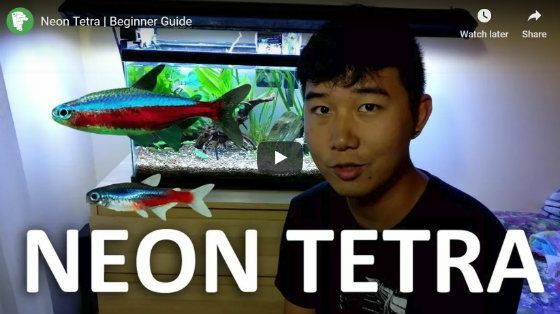 Neon tetras should be kept in schools of 4-6 but 10 would be ideal. They are schooling fish that are very active typically swimming horizontally. Use plants and rocks and driftwood to provide entertainment and also provide security for these little guys. Use a good small filter to keep the tank healthy and clean. So I hope I’ve made it clear that a 5-gallon tank isn’t the best option for the Neon tetra. This isn’t to say that an experienced aquarist couldn’t do it, but if you’re new to fish keeping I’d go with at least a 10 gallon or larger. It’s just better for the fish and more forgiving overall. I hope this provided some clarity and you can now confidently move forward and start that tank!